You know what online Role-Playing Games (RPGs) are, but have you heard of Tabletop Role-Playing Games (TTRPGs)? Hidden among a row of old-school shops along King George’s Avenue, it is easy to miss the entrance of Experience Point. Even when I found their brightly-lit signboard, I wasn’t sure if I was at the the right place. I pushed the door open and did a double take – it was like something straight out of Narnia. Standing in a room the size of Harry Potter’s basement, I had to figure out how to open the (real) concealed entrance. The 10 minutes I took to simply enter Experience Point reminded me of online role-playing games (think Maplestory and Runescape). 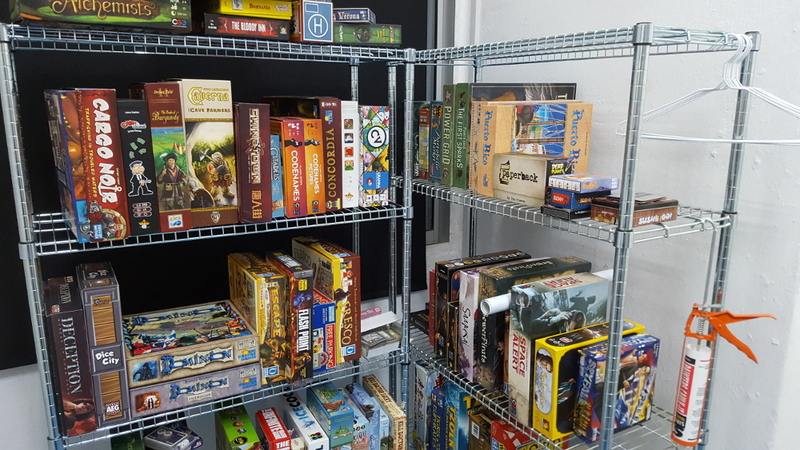 And so you might have guessed, Experience Point offers tabletop games for all kinds of geeks to meet like-minded people in a social setting. Yet, founder Terence Leong is not your stereotypical geek. With a contagious conviviality, the 33-year-old runs XP (+10 points if you get the wordplay!) with his wife, Debbie. Both never seem to tire of explaining the rules of various board games to newbies. 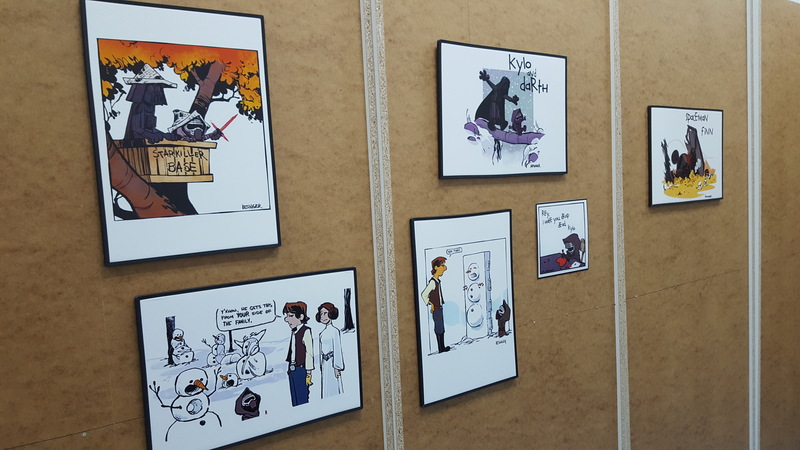 Even “non-geeks” would feel assimilated into the community in a heartbeat. Terence has been involved in the gaming community years before starting XP. His previous writing career began as a video game reviewer, where his editor introduced him to Dungeons & Dragons, a fantasy TTRPG. 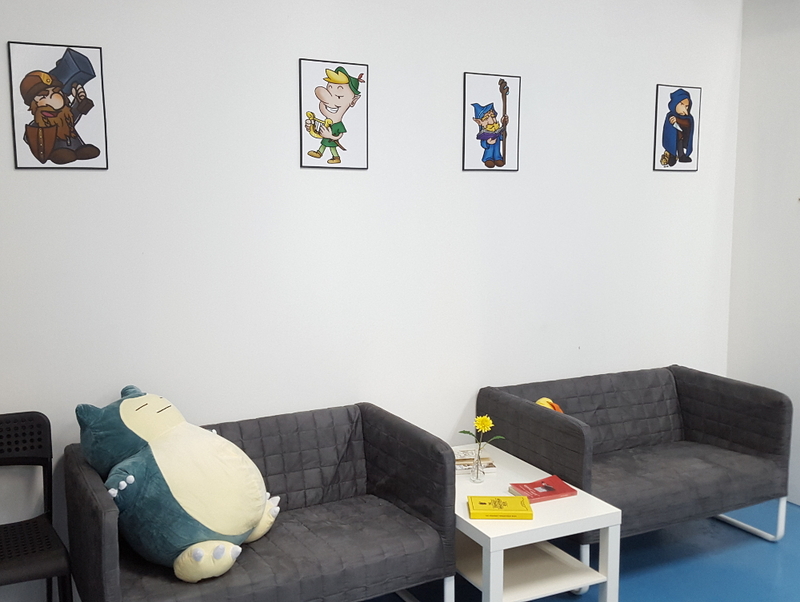 When the LAN gaming culture dwindled, Terence couldn’t help but miss that sense of community and connectedness that gaming creates. That “je ne sais quoi of gaming, hanging out, and just spending time with your friends in the real world”. “Having something to fill in the silence between conversations is essential, and tabletop games fit that role perfectly. It gives us a shared vocabulary and world in which to use it, in turn greatly expanding our social circles,” he elaborates. Where video games limit your actions and creativity, TTRPGs give you the freedom to choose your story and fate. If you have never tried tabletop role-playing first-hand, you will not understand why there are gaming manuals as thick as old-school telephone books or how strangers can bond over a game within minutes. For example, Dungeons & Dragons is the first role-playing game that allows you to create your version of a heroic fantasy. Albeit rules-heavy, the game is built on collaborative storytelling and requires interaction with other players. It extends beyond just a game because storytelling is at its core. The bubbly entrepreneur adores the idea that TTRPGs allow for the re-enactment of the ancient tradition of sitting around a campfire, telling stories about a shared fictional that is real to its participants. “What was the last board game you enjoyed playing?” Terence asks. This is a question the board games sommelier always asks his customers in order to figure out their idea of fun. 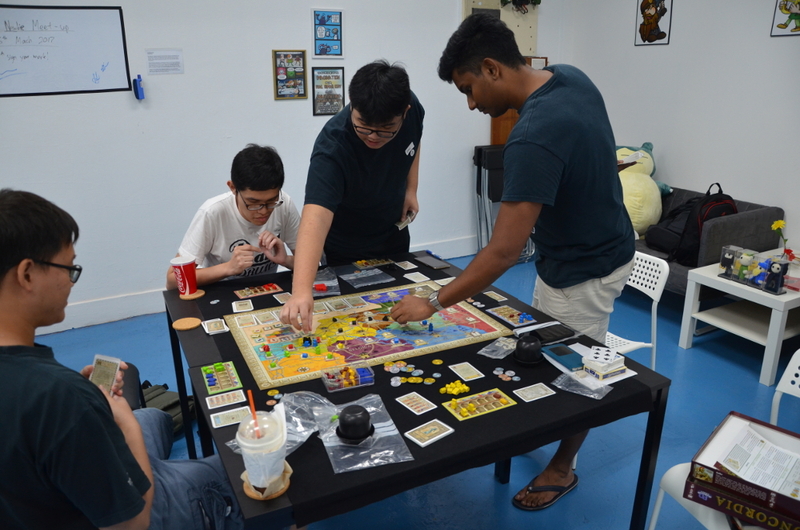 Playing board games has nothing to do with elitism, intelligence, or how cool (or uncool) you are. 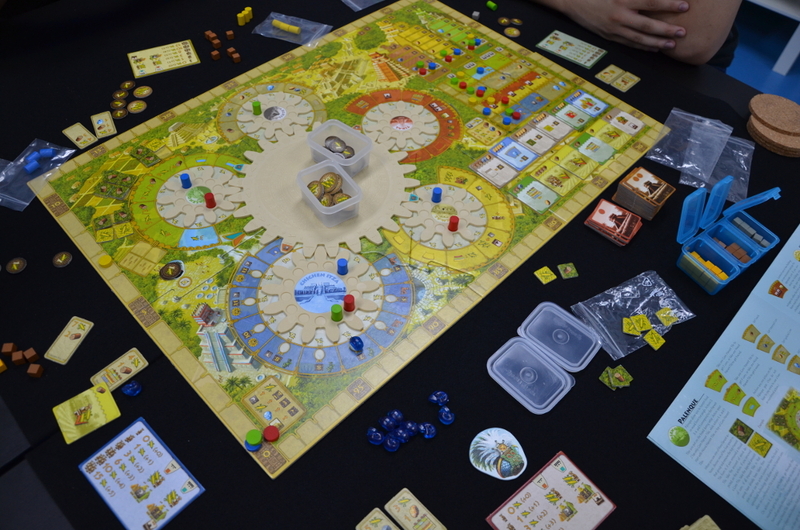 With the slow but steady revival of board games in recent years, Terence points out that you don’t have to be a MENSA member to play board games. All it takes is “an open mind, a willingness to learn, and a penchant for having fun”. 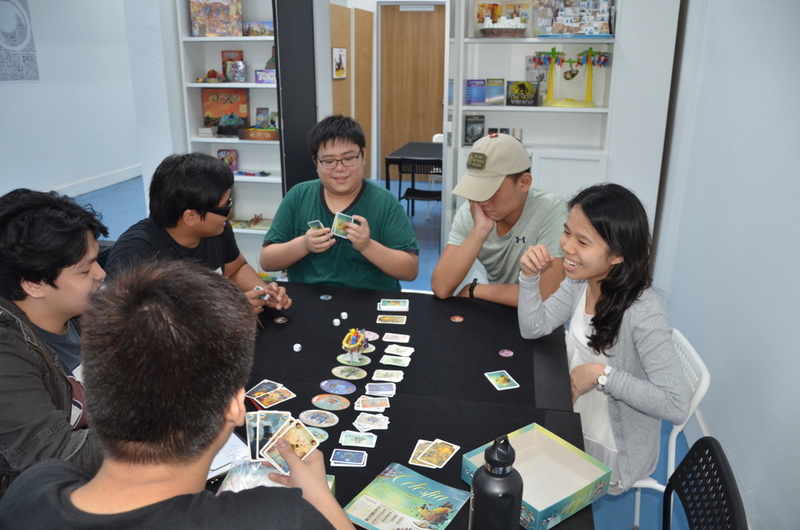 “Be it a dramatic epic, Shakespearean tragedy, sinister tale full of political intrigue, or a fun and silly story about multiple people who are all called Dave, board gaming is a social activity first and a game second. It’s simply an excuse for you to spend some time with people that you care about,” he says. While there are hundreds of TTRPGs out there, you can count on Terence to recommend a game tailored to your preferences. Some TTRPGs are as simple as: whenever your character wants to do something, pull a block from a Jenga tower; if it collapses, your character dies. “I strongly believe that everybody will get something out of modern board gaming, but it’s difficult to convince them of that fact when their only experience with the genre is Risk or Monopoly,” Terence says. But he still attributes the increased interest in tabletop gaming to YouTube channels like Tabletop with Wil Wheaton and Critical Role. Thanks to social media, tabletop gaming is entering a new renaissance. “It helps that most people today would have played modern classics like Saboteur, The Resistance, and Settlers of Catan, and that shared gaming background makes it easier for me to introduce them to other, and hopefully better games,” he says. Terence is also looking into the possibility of running megagames, which are massive events that see huge teams of players pitting their wits against one another over the course of an entire afternoon. With so much in store, XP could just get bigger and better in Asia. Everyone is secretly assigned a role at the start that tells them whether they’re a traitor or loyalist. Loyalists outnumber the traitors and they want to pass three missions, while traitors want to fail three missions but are the only people who know for certain who the other traitors are. Rules are extremely simple and can be taught in less than five minutes. Each game lasts about 15 to 30 minutes. Machi Koro is a fast-paced, dice-rolling city builder. Players roll dice, and compete to be the first to build their simple village into a sprawling metropolis. Each game lasts about half an hour. Making deals and negotiating with your friends. Players acquire ownership of sections of city blocks then place tiles, representing businesses, onto the block-sections. Completed businesses (formed of three to six connected tiles of the same type) pay better. All these resources are dealt to players randomly, so players have to negotiate with each other. Each game lasts about an hour. Social-deduction game where if you’re not the spy, you try and souse out the spy; if you’re the spy, try not to get caught. Players have to ask each other questions. After a few rounds of guessing, suspicion, and bluffing, whoever scores the most points wins. Each game lasts about 15 minutes.